I went for a run yesterday, the first in a week. I decided to take a route that meanders slowly and constantly uphill for the first mile, after which the gradient very abruptly goes on a steep climb for only a quarter of a mile but what seems like another whole mile to my poor legs. That said, it was a very enjoyable run. The sun was out for most of it and the pavement wasn’t too frosty. I finished up the run alternating sprints and slow jogging all the way home. A few weeks ago my housemate decided he wanted a pavlova, so he walked down to the shop, bought all the ingredients and made the pavlova. 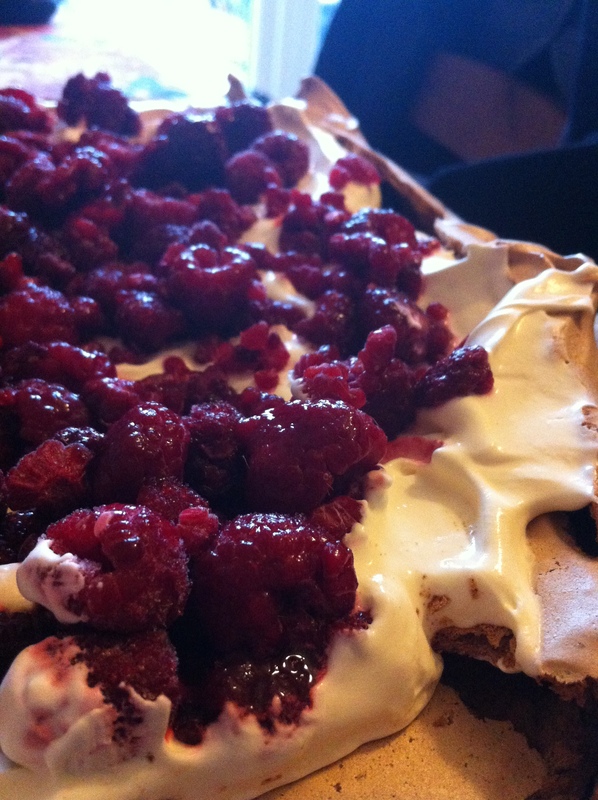 We found the recipe for Nigella Lawson’s chocolate and raspberry pavlova on Google. It was delicious. I think the best thing about pavlova is the contradictions – there’s the simultaneous crunch and squish from the meringue and the sharpness of the raspberry that prevents the rich smoothness of the cream from overwhelming you. That said, after we made the meringue we were left with six egg yolks. We didn’t want to throw them away so it was back to Google and searching for recipes that used egg yolks, which brought us back to Nigella’s website, although the recipe was a community recipe, rather than one personally from Nigella Lawson. 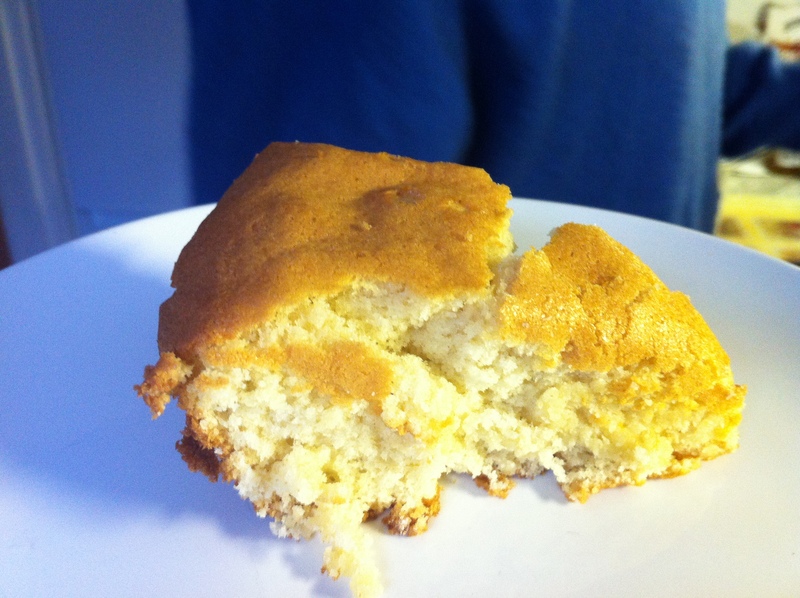 I’ll admit that the egg yolk sponge cake I made was one of the ugliest cakes I’ve ever baked, but this might be down to my baking technique rather than the recipe (I took it out before it’d properly cooled). That said it was easy to make, very tasty and kept well in the fridge. It’s one of those cakes that goes well with anything; we tried it plain, with more raspberries and a touch of cream, yoghurt and chocolate fudge sauce and they all worked. Tomorrow we’ll be having a night out but we’ll be having drinks at home. I’ve bought a bottle of vanilla vodka, so I’ll be trying out my cocktail making skills and hopefully the drinks I make are up to scratch. I’ve never made cocktails before so I’ll definitely be keeping things simple. Wish me luck!